‘The People v. O.J. Simpson’ Spoilers: Episode 5 Synopsis Released; What Will Happen In ‘The Race Card’? O.J. 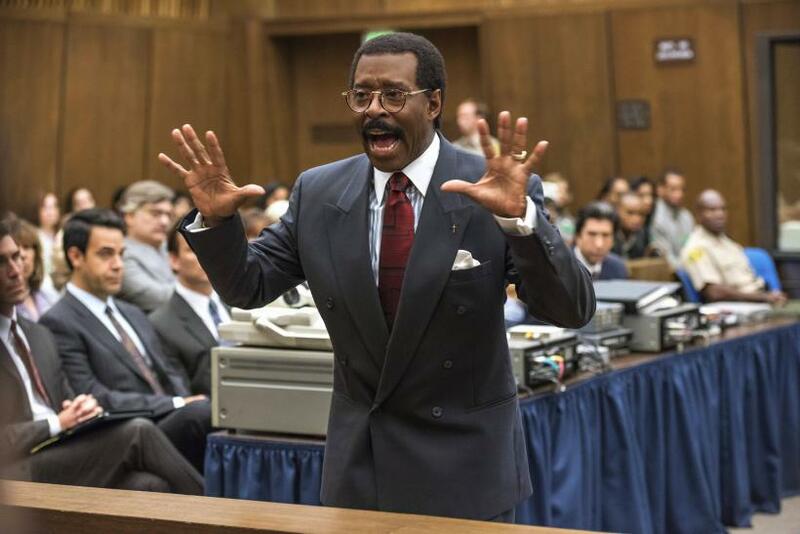 Simpson (Cuba Gooding, Jr.) won’t be the only one surprised to see Christopher Darden (Sterling K. Brown) in the courtroom during episode 5 of “The People v. O.J. Simpson.” According to the synopsis for the upcoming FX drama, Johnnie Cochran (Courtney B. Vance), the Dream Team’s new, lead attorney, will be taken back when he learns his protégé is on the prosecution. But Johnnie won’t be the only obstacle Chris will face while trying to prove O.J. is guilty of murder. The synopsis reveals Chris will begin to have “doubts” about using Mark Fuhrman (Steve Pasquale) as a witness. Perhaps Chris will do some of his own digging on prosecution's witness, who is an officer of the Los Angeles Police Department, which is when he’ll learn about Mark's shady past. Mark, the officer who found a bloody glove in O.J.’s yard during the series premiere, had filed a civil lawsuit against the city of Los Angeles for turning him “into a bigot.” This information was uncovered by the defense during episode 3 and rest assured they’ll use it in their case to have the jury question if Mark had planted the incriminating evidence himself. “The People v. O.J. Simpson” airs Tuesday nights at 10 p.m. EST on FX.